http://mikefinn.booklikes.com Mike Finn 4.0 "Handling The Undead" by John Ajvide Lindqvist - a truly European take on what would happen if the dead came back. 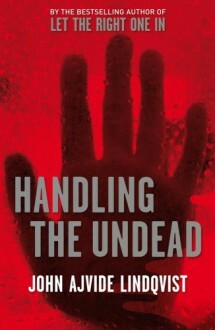 text "Handling The Undead" by John Ajvide Lindqvist - a truly European take on what would happen if the dead came back. I'm not a huge fan of zombie books, but I enjoyed this one. It explores how people would try to stay connected to people they loved who had died, how city services would be overwhelmed, and how the religious might respond.